In the same way that a great musician should study many different cultures of music, such is the case for anyone interested or working in fashion. This beautiful world we live in is full of amazing inspiration. Imagine if designers could draw only from their own back yards? I dare say we would all be facing an epic lack of options. I recently returned from vacationing in the Smoky Mountains. In the town of Cherokee, North Carolina I found a wide array of stunning tribal prints. Featuring bold color and intricate detail, vivacious prints such as these will spice up a wardrobe beyond your wildest dreams. How do you accessorize this look? 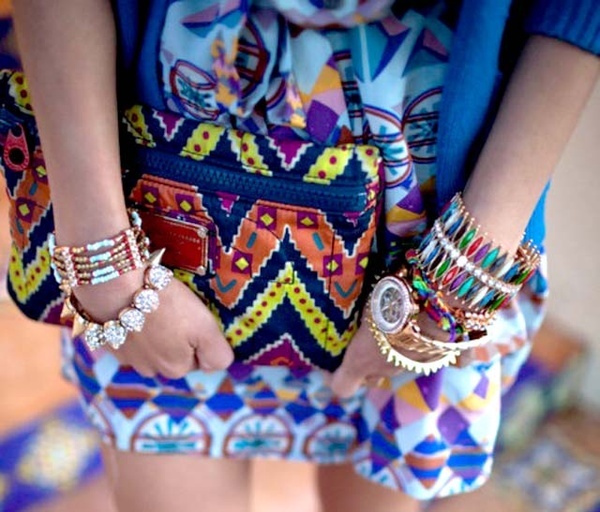 Gold, turquoise and coral pieces look absolutely fantastic with tribal prints. 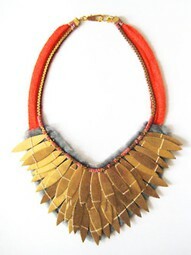 Perhaps you would rather rock a solid color. In this case, let your hands be creative with an exciting nail design. There are endless ways to experiment with this cultural trend. Now that I have showered you with delightful examples, dare to find your own inspiration from a culture that fascinates you. Fashion is in the trees, the sea, and ancient architecture of centuries past. You just have to look!